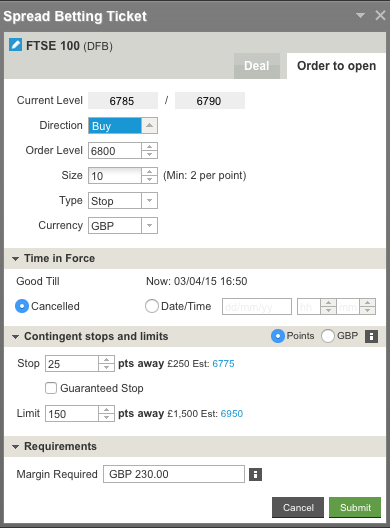 FTSE Spread betting - what is it how does it work and how do you do it? 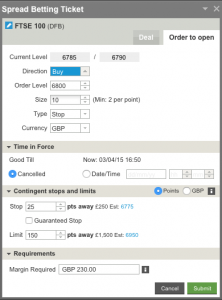 FTSE Spread betting – what is it, how does spread betting work and how do you do it? Spread betting allows you to bet, or take a position, on whatever you think a financial market will do next. The more the market moves in your favour, the more you profit, with unlimited potential. Conversely, the more the market moves against you, the more you could lose – and you may lose more than your initial deposit. So beware! Before you start you will need to open an account. Spread betting is an alternative option for investors to traditional trading on the stock market. It’s tax free, and offers the opportunity to make a profit whether the market goes up or down. It offers access to a wide range of markets from Indices (like the FTSE), or individual shares to commodities or currency exchange rates. The Bet: Unlike traditional share-dealing, you never own the actual share or commodity. You are simply making a call on whether you think it will go up or down in value. You stake a certain amount of money per point movement – the more it moves in your favour the more money you make, the more it moves against your prediction, the more you lose. The Spread: The spread is the difference between the price you can buy at and the price you can sell at. You will buy at the higher price if you think the market will rise (Go Long), or sell at the lower price if you think the market will fall (Go Short). The tighter the spread, the smaller the market has to move for you to make a profit. How Does Spread Betting on the FTSE Work? When spread betting the FTSE you are placing a bet as to which direction you think the price of the FTSE will move. It has a buy (bid) and sell (offer) price. The sell price is always lower than the buy price, the differenece is called the “spread” and it is part of how the trading company takes its commission. By correctly predicting the market fluctuations, you can make profit as the trading price falls above or below the spread. 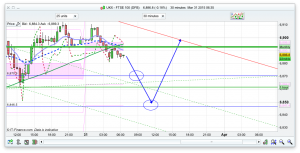 For example, the FTSE is trading on the market at 5902 buy, and 5901 sell. If I think the price is going to go up, you bet £10 per point (i.e. £10 per point the ftse move up). 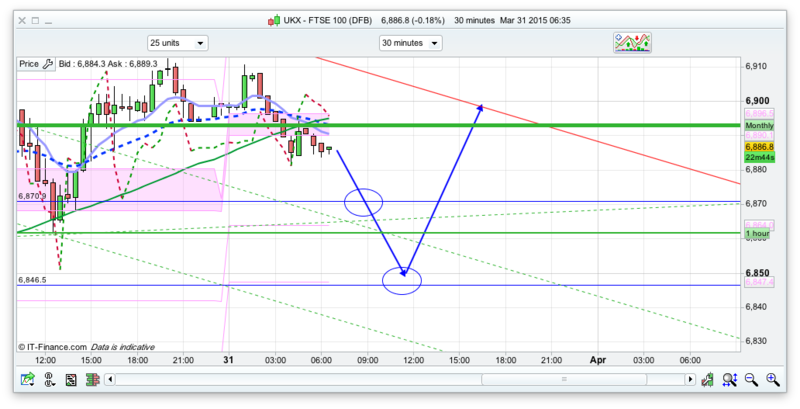 If the ftse rises to 5952 you can cash in and take the 50 pip profit, which will be £500 profit (50x£10). Equally, if it moves against you, i.e the FTSE drops to 5852, then you will be -£500. 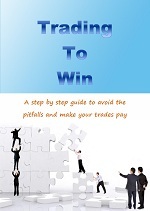 You can protect yourself with stop losses to minimise your loss if a position goes against you. As a beginner, always use stop losses, as they will cut losers for you rather than holding on, thinking it will come back. In a nutshell, that is how spread betting works. Its harder than it sounds, otherwise everyone would do it and everyone would always make money!!! !